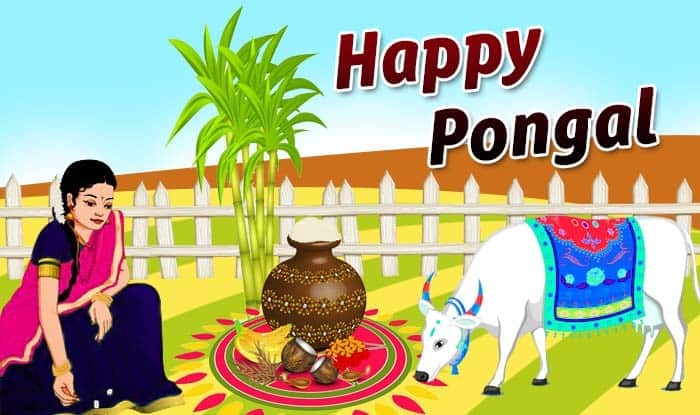 Pongal 2019: The four-day harvest festival is celebrated in Tamil Nadu and is dedicated to the Sun God. Pongal starts on Tuesday, January 15, 2019 and ends on Friday, January 18, 2019. It is a traditional harvest festival which is regarded as one of the most important festivals for the Tamilians. This auspicious festival is celebrated with lot of zeal and enthusiasm. The word Pongal is derived from the Tamil word Ponga, which means to boil. The meaning of Pongal means overflowing. Pongal also was known as Thai Pongal is basically a four-day harvest festival which is celebrated by the Tamil community. This day marks the start of sun’s six month journey towards the north i.e the Uttarayanam. It is believed that Thai Pongal is celebrated to convey appreciation to the Sun God for providing energy for agriculture. Tamilians decorate their houses with mango, banana leaves and colourful patterns made up of rice flour. Further, the dishes are been served in the traditional way by using banana leaves. Pongal is a special Thanksgiving day which is especially dedicated to Mother Nature by the farmers for the overflowing harvest. It is believed that the auspicious month is a traditional month for weddings as the end of the harvest season is associated with an abundance of food. Punya kaal muhurat: 7:18 am to 12:47 pm on January 15, 2019.